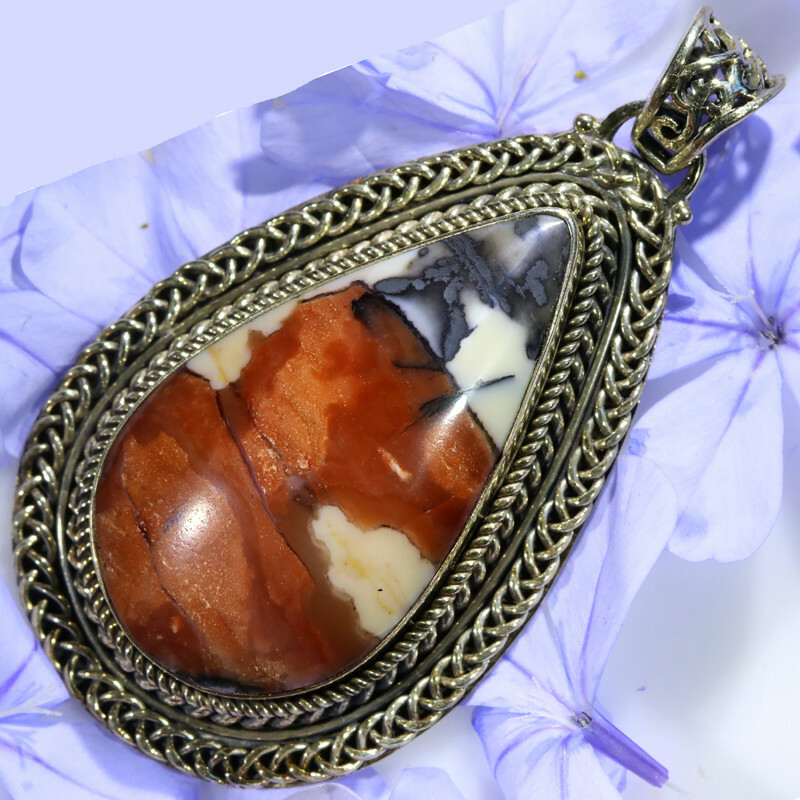 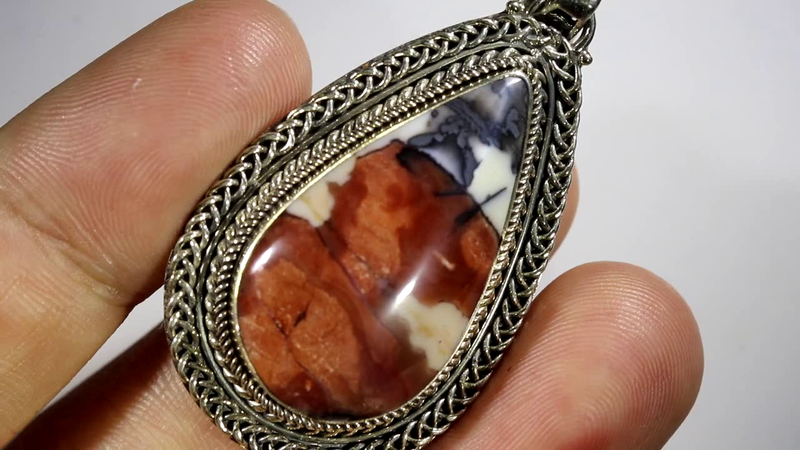 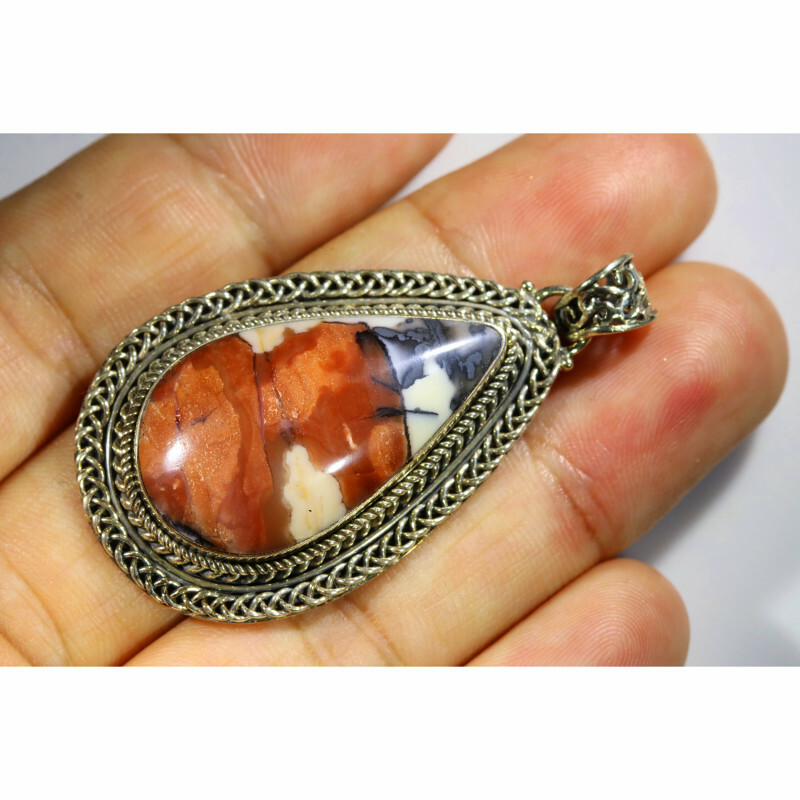 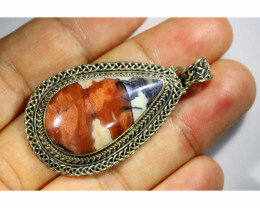 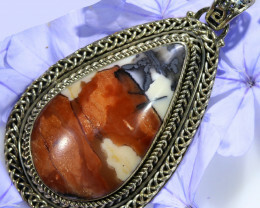 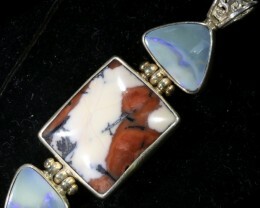 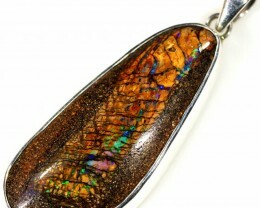 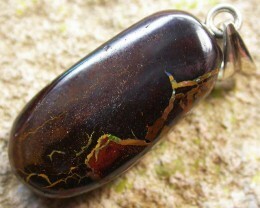 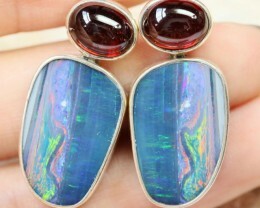 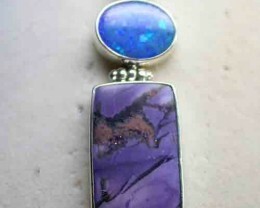 The feature of this pendant is a natural untreated stunning Tiffany opal stone well polished. 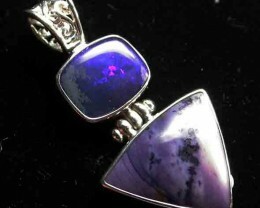 This is a natural untreated polished opal flourite from Utah Usa.This material comes from a beryllium mine and it is becoming hard to mine in quantity.Tiffany Stone is composed of various minerals such as bertrandite , beryl, calcite, chalcedony, cobalt, dolomite, fluorite, manganese oxide, rhodonite, quartz, zinc and white opal potch. 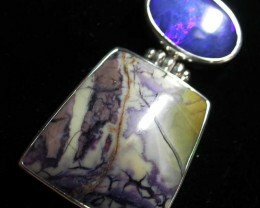 The purple color that characterizes Tiffany Stone was created by fluorine gases, while the stricking black-colored veins were caused by manganese oxide; all of which were sealed within the sedimentary layers, becoming opalized over time. 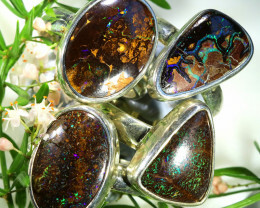 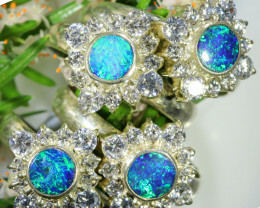 Tiffany Stone does not display any opalescence or colour play that is common in Australian opal.This material will flourense a bright green under short wave ultra violet light.It is best to use a mask when cutting this material.